Join the crew - we're hiring! Do you want to be a part of something significant and grow as an individual in a thriving culture together with a fun and professional team? If your answer is ”heck yes, a thousand times yes” iGoMoon is the place for you. 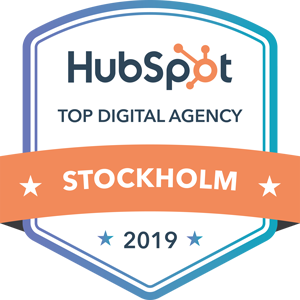 We started as a traditional web agency, but today we are a Digital Agency that specializes in HubSpot website development. We are looking for a talented and business-minded copywriter with a passion for creating influential content and digital marketing. This is a key role within our team where you play an important role to improve our customers inbound marketing strategy by quickly absorbing information and articulating it into a smoothly flowing format that is easy to read. Critical thinking skills are your best friends, as you will interview experts, capture the story, and communicate the message to our customers audience. iGoMoon has evolved into a hybrid agency, by combining inbound marketing, HubSpot website development and design. 80% of our clients are service based companies in Scandinavia. We help them find a better way to generate leads, nurture relationships and close new business online. We are looking for a candidate who is highly motivated, structured, enjoying an entrepreneurial environment and is able to work independently. There are many opportunities to grow and develop with iGoMoon! As a person, you have a drive to always improve yourself and to stay crisp. You are also able to take own initiatives. Selection and interview process is ongoing, therefore please don’t hesitate to apply as soon as possible. Is this you? I mean, of course it is you, but are you the one we are looking for? Are you ready to be a part of a brave, crisp and fun team? Do not hesitate to apply for the position with your CV and cover letter to Mattias Grönborg.